Success! 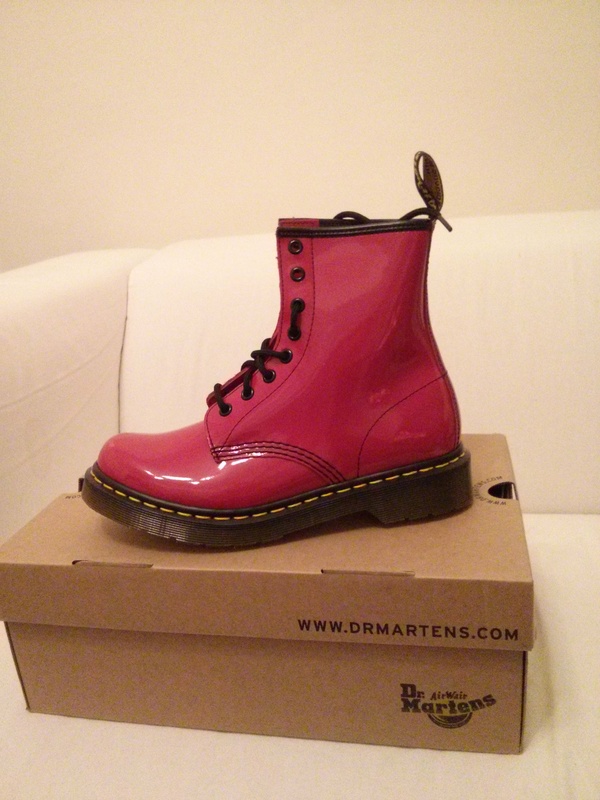 I found the Dr Marten’s I was after, which I did successfully reserve at roughly 8am this morning. I waited with baited breath for the confirmation to come through, relieved is not the word I felt when it finally did! Whilst popping in to Schuh first thing this morning, bird & I (my friend from previous shopping adventures) were first of all distracted by Vans trainers…after picking a pair each I then collected the beautiful, beautiful red DMs…oh salvation! The first part of the days’s mission was complete. Bird then threw a spanner in the works by saying her other half needed some new jeans and could we look for some. Fair enough, lots of shops, plenty of options. Then it became complicated. What he wanted, in theory, was actually quite straightforward and simple: normal, straight leg style jeans, zip-fly 34w 28/29 leg as he has a long torso but shorter legs. However, in practise, it brought back the horrid memories of Monday. Topman, Burton etc, were full of skinny jeans, slim tapered jeans, were too long, had a button fly or cost more than he was willing to pay. We had to text him to ask which part he would compromise on. He actually then asked for chinos, as none of the above were any good to him. However, last minute stop off in next, we found a single remaining pair of 34w 29l straight leg jeans with a zip fly. We bought them for him to try, leaving him with the option to unfortunately order more online! So today, I have a new dilemma altogether. Shoes. I have a hard enough time with shoes as it is with my abnormally wide feet (once again, thank you mum for those) but once I find some I like I tend to obsess ’til they are on my feet and there’s a smile on my face. 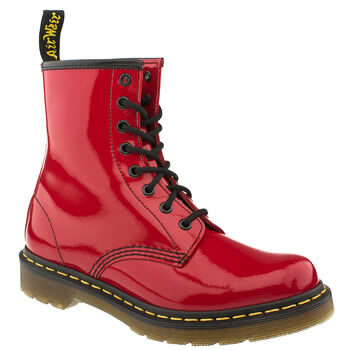 My current obsession is the stunning cherry red Dr Martens that happen to be on sale in Schuh. Its my birthday on monday and decided happy birthday to me, I shall purchase some. 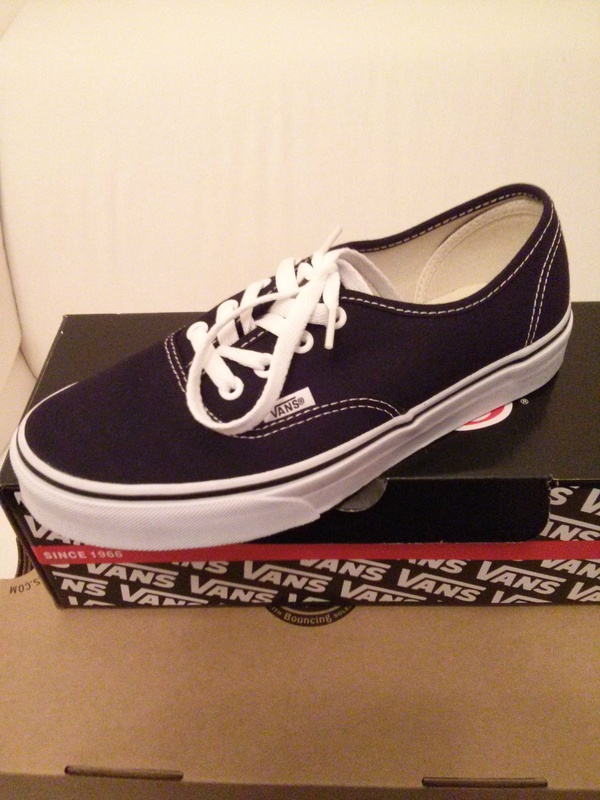 Under recommendation from the email customer services, the best option for me and my big feet was to reserve some. Our local store at this point was closed (but have since been informed it has reopened as of 04/04/13), but not to panic, my friend & I were off to an out town shopping centre for a spot of shopping on Friday (today in fact) so they suggested to keep reserving them everyday until Friday when I could pick them up. Champion. Except tonight, it tells me these shoes are unavailable to reserve. PANIC!!! The customer services told me via email the stock would be available again after midnight so to try again then when my reservation would be cancelled. Except I can’t, it keeps saying the same thing. The online helper though did tell me they have 3 pairs in stock but it would appear they are all reserved ’til tomorrow morning, so to try again then. So clearly, I will not sleep and will panic until morning when I can call up or go online. my last chance would be to order from the store for next day delivery (pay the delivery costs too, sob) and hope they arrive on Monday. Once again, my odd body will lead me to online shopping, damnit! Come on Schuh, I found some fabulous jeans, let me have my fabulous boots to match!!! UPDATE : I GOT THEM! I have just left Schuh with the lovely DMs And another pair of shoes, woop woop!